Pal Payasam is the main offering to the deity after Nivedyam in the Noon. It is said that Guruvayurappan (Lord Krishna) reach this temple for Nivedyam to have Pal Payasam. This Prasadam is made of Sweetened Rice, Milk and other ingredients. Pal Payasam is served in 500 ml and 1 Litre Containers. Advance booking is required for this Prasadam. The above-mentioned price might change and is subjected to Devaswom decision. Distributions start at 12 pm, Daily. The queue line is maintained for the Purchasing Pal Payasam. One day advance booking is advisable for this Prasad. Temple timings might change on special days. 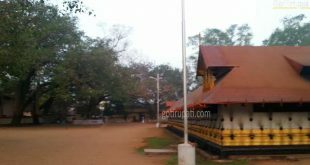 How to reach Ambalapuzha temple? The nearest airport is at Thiruvananthapuram which is 139 Km away. The nearest railway station is at Ambalapuzha which is 2 Km away. 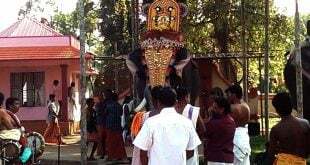 The direct bus is available from Ambalapuzha station to the temple. 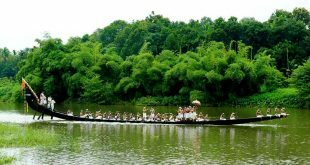 How to book the Ambalappuzha paal paayasam ?? Do we need to go directly and book ?? Yes you need to get that directly on arrival there is no online booking .